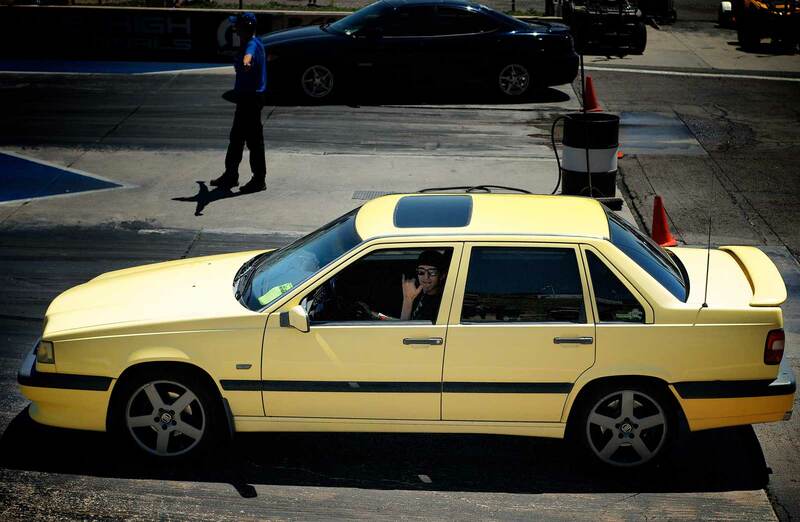 This Yellow 850 T-5R is the top of the top of collectible Volvos. 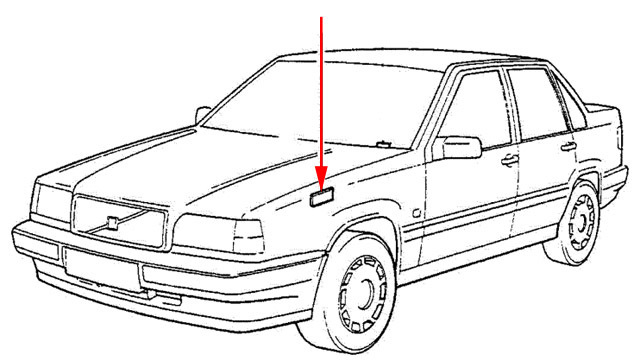 Cream yellow was only used in model year 1995 for the Volvo 850 line, and only on the T-5R variant. 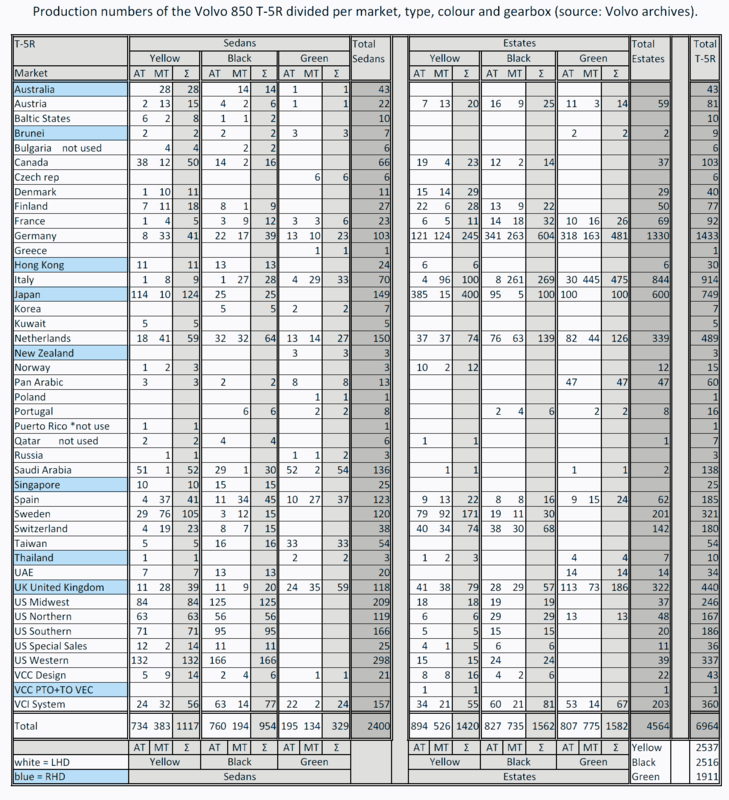 364 sedans imported to the United States, and 49 wagons imported to the United States. No, those numbers are not missing a 0. Yellow 850 T-5R paint is Volvo paint code 607. If the product plate doesn’t have 607 on it, it’s not a yellow T-5R. Cream yellow was only used in model year 1995 for the Volvo 850 line, and only on the T-5R variant. 364 sedans imported to the United States, that’s it. 49 wagons imported to the United States, that’s it. Volvo Paint Codes, the complete list (2017). Cream yellow – 2537 worldwide including saloon and estate. Cream Yellow was marketed in the Australian market as ‘Faded Yellow’ to compensate for the unrelenting Australian sun. The Gothenburg boffins were aware of the 1990s paint technology, and the fact it wouldn’t retain its deep luster over the course of time, and hence, the clever marketing descriptor, ‘Faded Yellow’ was coined. The original paint code is right there on the product plate next to the VIN, you can tell the original color right away for any Volvo. If and only if the plate says 607 then your T-5R came from the factory with Cream Yellow paint. There is no Volvo paint color named Gull Yellow. No clear coat also means that the color will change radically depending on how the paint has been maintained. If it has not been cleaned well and polished in many years, it will look much lighter and faded. With a good polish (chemical or abrasive, depending on need) it will bring back the reflective qualities of the paint which will change the color. The dark green ones are said to be the rarest with global production of 500 only (last T-5R batch). Still an ugly color. Intersting is that the cream yellow was supposedly a T-5R only color, yet I saw a very early cream yellow V40 wagon with a diesel engine at the junkyard a while back. It looked factory painted because every part of the car was cream yellow, so i doubt it was an aftermarket paintjob. An Automatic 850 Goes Over 300hp. Way Over.